> Good gear. What do you recommend? Thread: Good gear. What do you recommend? Not sure if the forum is working properly again or not but thought it was worth a shot getting the wheels turning again. What products and equipment do you really like, a favourite bit of gear you would recommend? Could be anything bowhunting related. Last edited by Rhino1; 8th January 2019 at 11:33 AM. I have the double Legend case, great bit of gear. I always take a spare bow hunting, the double case takes up much less room than two hard cases. I got the superline, which looks like a single version of yours. When it comes to safety I tend to take every possible precaution, I have been using a PROTX kevlar shooting glove since they came out and can recommend them without reservation. My first one eventually wore out about a year ago so I ordered a new improved model that has more protection than the original. I find I shoot more accurately with the glove because it allows my hand to move on the grip preventing any torque. Not cheap but insurance never is. I have a little range finder holder that my mum made on my bino harness that works great, no fumbling with pockets, zips or buttons, it always there on the ready. Last edited by dean-yowie; 10th January 2019 at 05:05 PM. My pocket sized tripod is one of the most handy bit of gear I have purchased in a long time. $20 at the Sydney boat show. 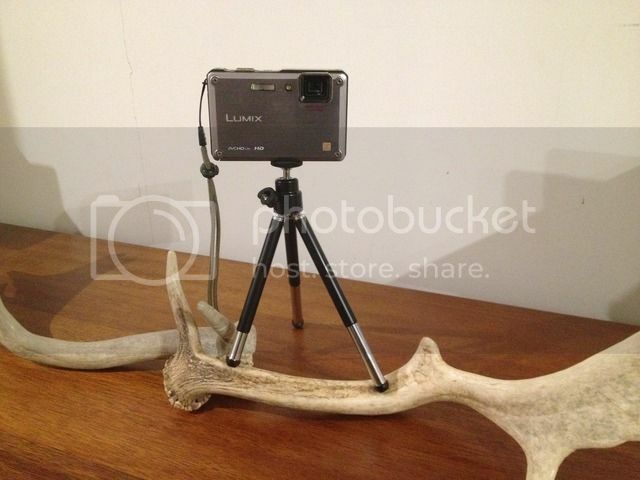 I do all of my hunting by myself now days so this thing is the shyt for selfies, the three legs are individually adjustable so I can set it up on any log or rock or in a tree and snap away. Gotta love a folding pocket knife. Had loads of fixed blades and for weight and being able to keep an edge this one has surprised me. I got a Havalon Titan not long back still yet to give it a run. Totally get it's an individual thing but this 4 inch folder rocks. I carry one of these, thinking about getting a Garmin Inreach. They totally look like the biz to me.